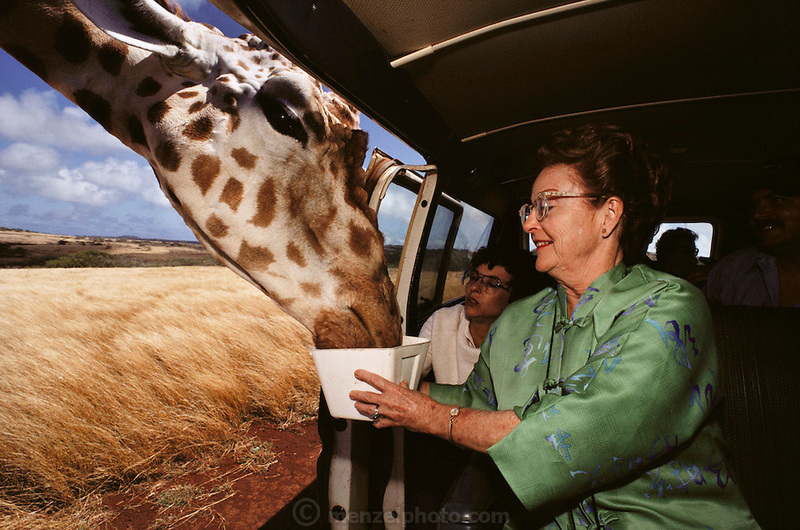 UTourists feed a giraffe at Molokai Ranch Wildlife Park, Hawaii. USA. The giraffe has walked up to the van full of tourists and is being fed by one of them.